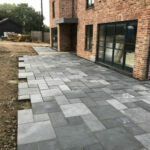 Here at Simons landscaping we have been very busy throughout September. 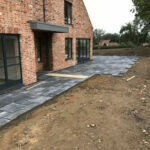 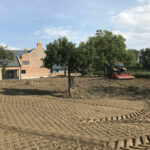 We have been working on two different landscaping projects for our customers which includes the following types of landscaping: Driveways, patios, walling, pond constructing, seeding and turfing. 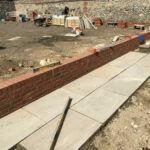 Below you will be able to see two key projects that we have completed this month. 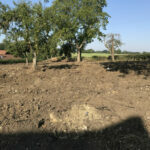 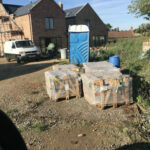 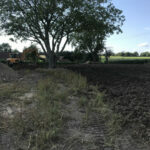 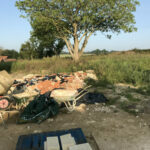 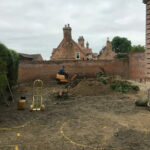 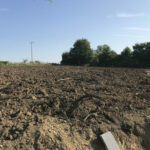 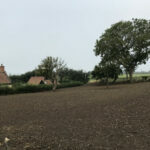 We were called to do a landscape overhaul at an old farm house Forncett, Norfolk. 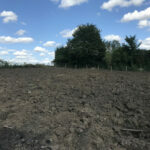 To start this job we had to treat the undulated and overgrown field with a treatment to kill all of the weeds and dead grass. 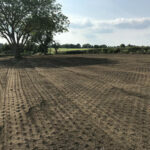 Once this was activated we then dug over the whole field to air the ground. 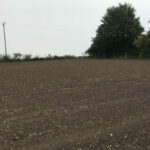 Next the ground had to be levelled, so our tractor can use a stone burrier to ready the soil for seeding. 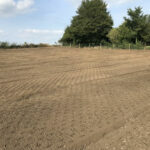 To finish the soil, we then sowed grass seeds and wild flower mix; with expected growth before winter and final growth during spring. 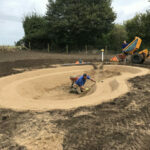 To complete the wildlife area we have started to install a natural wildlife pond in the woodland area. 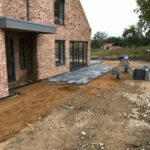 During the preparation of the woodland area, we started to install the Charcoal Limestone patio area around the perimeter of the farm house. 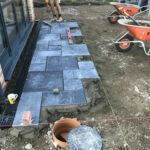 We are laying this in three sizes to break up the internal shape of the patio area. 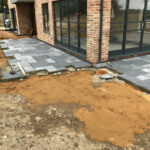 As this is a non-permeable surface channel drainage was also need to drain surface water away. 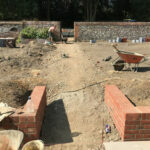 We are looking to have this job completed in October and will provide the second update then. 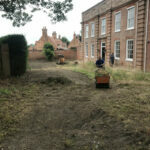 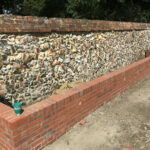 Our customer in Coltishall needed their tired and warn out grounds updated and tidied up. 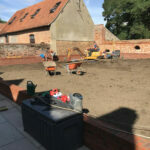 To breathe a new lease of life into the grounds we had to remove all of the old grass and arisings. 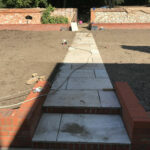 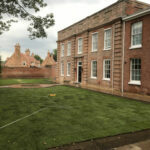 To start in the front garden we then laid new Raj Green Indian sandstone pathways to the front of the property. 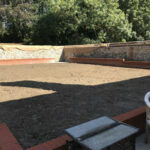 The levels needed to be raised, so that fresh lawn turf could be laid. 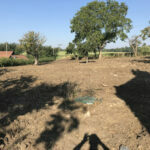 In the rear of the garden we also had to remove all of the old grass and arisings. 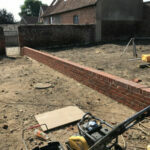 Next we installed Dwarf brick walls to be used as herb beds. 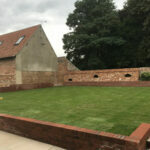 Similarly we also installed Dwarf brick walls to act as a partition to separate the lawn and the patio. 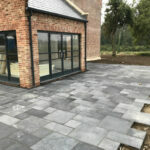 Finally we installed Raj Green Indian sandstone patio and paths. 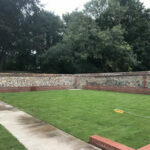 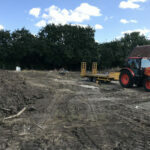 If you would like to know more about our landscaping services, then please make an enquiry through our email: [email protected] or give us a call on: 01508 470674.